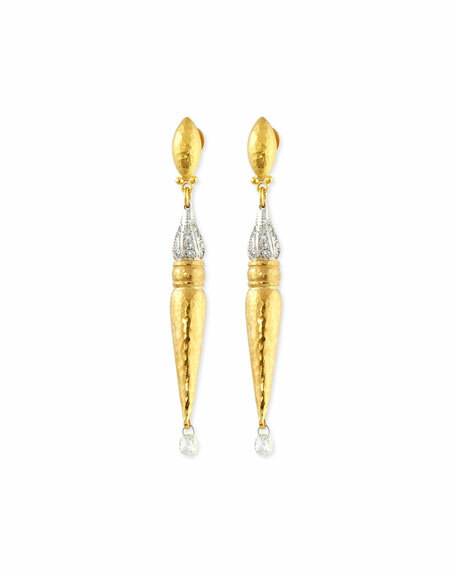 Gurhan earrings from the Sultan Collection. Pave diamond finial, 0.52 total carat weight. 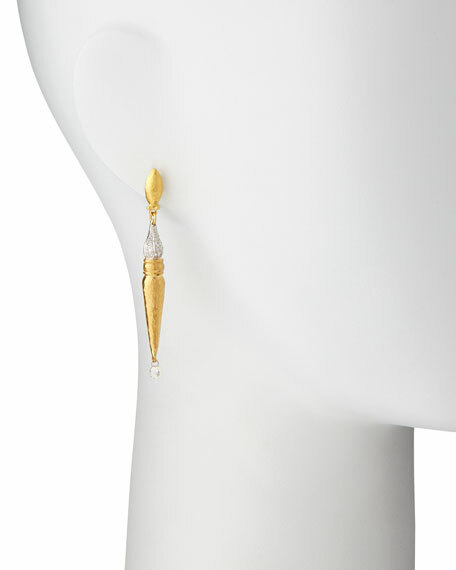 Faceted diamond briolette drop, 0.79 total carat weight.